Once mystical, the Dunhill brand went from owner to owner, starting in 1990, without regaining its Cuban era’s aura. Its last owner, British American Tobacco, has decided to cease its production. Dunhill cigars are about to go extinct but nobody really seems to care, most likely because they were already suffering a long decline. “We have decided to end Dunhill cigars production in mid 2018”, recently announced the owner of the brand, British American Tobacco (BAT), while expressing a desire to refocus on its core business, cigarettes (Lucky Strike, Pall Mall or Winfield). The fact that the announcement came barely a week after the Reynolds tobaccos buyout (Camel and Winston) isn’t a coincidence. The multinational corporation doubled down when it specified: “These products [cigars] represent a very small part of our revenue”. That it to say, they had become irrelevant. One year later, in an interview with L’Amateur de cigare, BAT continues to use the same tiresome rhetoric: “Just like many companies, we review and refine our global strategy regularly to insure the longevity of our activities for the future. Even if we understand that it can be disappointing for some customers and industrial partners, this decision will help us focus on our core business and invest in order to ensure our durability and rentability”. Case closed. For a few years already, Dunhill cigars have had very little to do with the Cuban Don Candidos and Don Alfredos loved by 1980s aficionados. In reality, the announcement of these last few months is the result of a long descent into hell initiated in the early 90s. 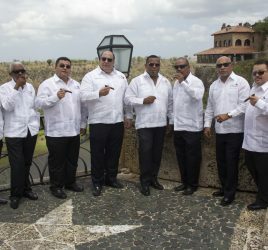 Unlike Davidoff, which anticipated the change of mood in Cuba and thus relocated to the Dominican Republic –turning it into a respected cigar country- Dunhill didn’t know how to react when it was confronted to its slow expulsion from the Cuban soil. Winston Churchill, George VI and the barbudos…. Before the revolution, Dunhill owned several cigar shops in London and used Cuban factories reknown for being particularly appreciated by Winston Churchill and king George VI. Back then, high society members kept their cigars in personalized and humidified lockers at the Jeremy Street shop. 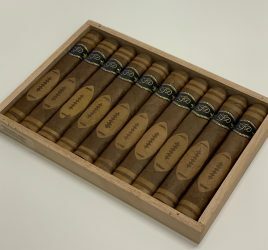 After Fidel Castro and his barbudos seized power in Cuba, Dunhill negociated the right to keep manufacturing cigars but the success of the Estupendos, which were rolled at the Rey del Mundo factory in Havana thanks to a contract signed –with great difficulties- with Cubatabaco in the 80s ended being the brand’s swan song. There was no love lost between Dunhill and the Cuban gouvernement which was determined to take full control of cigar production. Their relationship deteriorated and the divorce was finalized in 1991. Besides its setbacks on the production front, Dunhill faced capitalist problems as well. In 1988, the whole brand (its tobacco but also its clothing and leather goods units) was purchased by the Swiss group Richemont (makers of Cartier, Montblanc, Jaeger-LeCoultre, Vacheron…) which wasn’t interested in pursuing the tobacco side of the business. Dunhill tobaccos ended up being purchased by BAT, which, though very interested in cigarettes, inherited the cigars without having a clear idea of what to do with them. The cigar production was then passed on, through a licence, to General Cigar (a subsidiary of the Danish STG). It could have been the ideal buyer. But BAT decided otherwise. “We would have loved to continue with Dunhill” comments the CEO of General Cigars Régis Broersma, but BAT made a strategic decision to extract cigars and pipe tobaccos from the Dunhill brand. The bottom line is that BAT is the owner and we respect its decision”. Up to the last few weeks, General Cigars produced four cigar lines in its Santiago de los Caballeros (Dominican Republic) factory. It offered several types of assembly successful with American, German and Russian aficionados, its three most important markets. In France, it sold between 15 000 and 20 000 pieces annually, according to its distributor Eurotab. 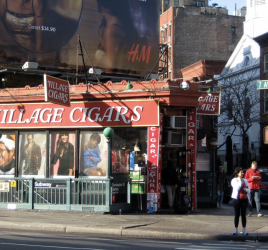 For the nostalgic aficionados, there are still auctions or Londoner shops specialized in vintage cigars. Last December, on a website that auctions vintage cigars, a box of 10 1985 Dunhill Estupendos (tubos) was sold 8 300 pounds, that is around $11500.